Strange and twisted characters, the vivid but often sinister lives they inhabit in their imaginations, and their almost universal preoccupation with death make this collection of short stories compelling, even mesmerizing, despite the sense of menace lurking within each story. The characters all appear on the surface to be “just like us,” ordinary people with similar sensibilities and familiar goals for the future, but as they develop during the fifteen unusually short stories in this collection, Danish author Dorthe Nors slowly and subtly reveals how off-kilter they really are. Virtually all these characters are lonely and unloved, craving companionship, if not a lover, and they depend on their imaginations to provide the excitement which is missing from their real lives. Most them, however, do not recognize that there is a fine line between their harmless daydreams and the nightmarish visions which sometimes threaten their equilibrium and control their actions. While the characters’ inner lives are unfolding within their stories, ordinary, “normal” life is continuing “outside.” People still watch the news on TV and stay up late playing games and doing research on their computers. Characters go to their jobs, some profess to follow the tenets of recognized religions, and they all reflect on their childhoods and early lives. 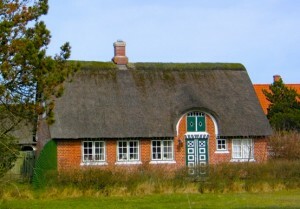 Children move between parents’ houses during times of divorce, pets live and die, and the characters either grow and follow their dreams or become sidetracked by their inner torments. Even murder becomes a “normal” outgrowth of life for some of these characters, since they believe that they have reasons to explain away their behavior. Every story is filled with ironies, and even in the midst of horror, come moments of dark humor. 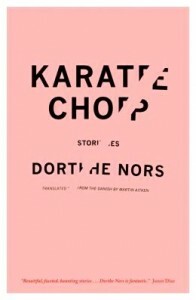 In the title story, “Karate Chop,” the main character, Annelise, works with children who have psychological problems and learning difficulties, and as she reflects on her own life, she does so from a psychological perspective. As she is analyzing her inner life, the reader is analyzing her behavior, recognizing how far she is from knowing who she is and how much she is manipulated by her lover. “Any individual you happened to meet was nothing but a potential,” she asserts, explaining her philosophy, “an outline to be colored in and assigned content…The [outline] could never be lifelike, and for that reason you reached a point where you began to [color] outside the lines,” as one does with a children’s coloring book. Just how far one character can go in “coloring outside the lines” becomes the main plot of most of these stories. 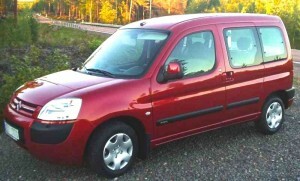 “The Buddhist” drives around Copenhagen in a red Citroen Berlingo, thought to be the safest car on the road. 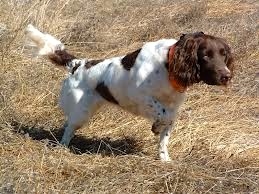 In “Mutual Destruction,” Henrik, the speaker, enjoys hunting with his small munsterlander dog, disliking the dachshunds that his friend Morten uses. In the course of the story, Henrik compares himself with Morten, and their wives with each other. Eventually, they agree that each friend will shoot the other’s dog for him if the dog is at the end of its life. It soon becomes clear that this friendship is strange, foreshadowing a future that is even stranger. In “The Buddhist,” a speech writer for the Ministry of Foreign Affairs writes an article for a national newspaper in which he reveals all the lies spoken by the foreign minister. The Buddhist ends up working for an aid organization, a job he gets based on his own lies. Irony piles upon irony here, as the Buddhist drives around Copenhagen in his red Berlingo car, believing, grandiosely, that his car, the safest car on the road, is itself a sign from the Universe. As he drives, he sees omens in the sky. Four months later, this “Buddhist maverick” faces a crisis. “Female Killers” describes the inner life of a man bored with his marriage who stays up after his wife goes to sleep, playing backgammon on-line and researching the stories of female mass murderers. Of the famous Aileen Wuornos, who received six life sentences, one for each of the men she was proven to have killed, he concludes that “she was the kind of person you could have had fun with in a bar when you were young if the chance came around.” He also looks up Dagmar Overbye who was sentenced for killing eight infants of the 25 infants who disappeared in her care. “The abnormal can be accepted,” he decides, “it can even open doors in a person and make room for everyone to be human…But then it might be something else altogether,” he adds casually. 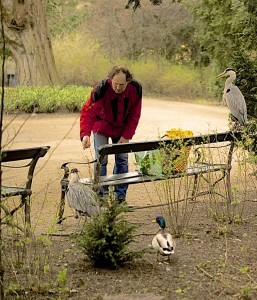 In “The Heron,” a tale of abject loneliness, a man walks around Damhus Pond in Frederiksberg Gardens, thinking about bodies cut up and thrown into the pond and about the malnourished, tame herons which some love but which repel him. Dorthe Nors writes in a compressed style in which each story becomes the equivalent of an outline in a children’s coloring book for which the reader sometimes has to color “outside the lines” before the story takes full shape. Some of the stories are dramatic, some are extremely sad, some are mystifying, and some genuinely touch the heartstrings. All, however, are filled with ironies (and occasionally humor) based on the ways that the reader fills in the blanks to draw his/her own conclusions. The stories are unique in my experience, not just in style but in the unusual ways in which the author sees the big issues regarding life, death, growing up, and our relationships with the outside world. They are unsettling, often disturbing, and absolutely haunting.